Every 49 Minutes A Drunk Driver Kills Someone In The U.S. In 1998, John Saputo – CEO and President of Gold Coast Eagle Distributing, Steve White – owner of Steve White’s Auto Repair and AAA’s Gene DeToma got together in Sarasota, Florida to discuss what they could do to help curb the growing epidemic of impaired driving. Too often, they witnessed how lives were destroyed because drivers would get behind the wheel impaired, thereby endangering themselves and other roadway users. 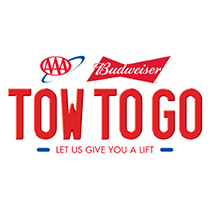 Thanks to those discussions and the ongoing support of AAA and Budweiser (Anheuser Busch), the Tow to Go program keeps the motoring public safe by encouraging them to plan ahead when celebrating. This means choosing a designated driver, staying where you are celebrating, or arranging for another form of safe transportation. Offered as a safety net, the Tow to Go program provides impaired drivers and their vehicle a free, local ride to a safe location. It is a program of AAA and Budweiser (Anheuser Busch). Much of the success of the program is due to the Anheuser Busch distributor partners that bring awareness of this program’s life-saving benefits to their patrons at bars/restaurants. Since 1998 Tow to Go has safely removed over 25,000 impared drivers from our roads. Tow to Go is available this holiday season from Friday, December 21st until 6AM Wednesday, January 2nd. Click HERE for more information. 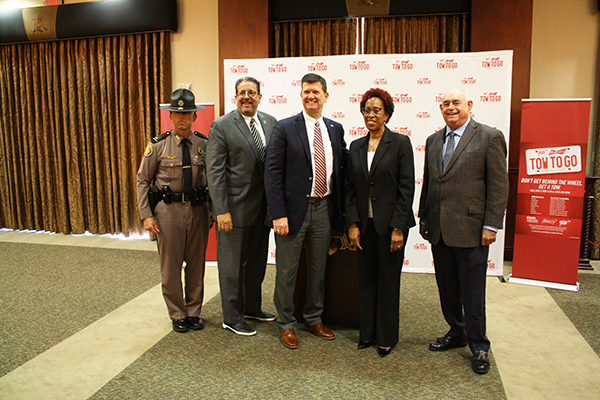 Tow to Go Press Conference Presenters, left to right: Lt. Greg Bueno; Florida Highway Patrol, Mandy Llanes; The Llanes Group – Representing Anheuser Busch, Kevin Bakewell; AAA – The Auto Club Group, Marcia Wright; AAA – The Auto Club Group, Steve White; Steve White’s Auto Repair.